The Aim of the Second Meeting was that of “Recognizing and generating opinion and actions on fundamental aspects of young people: mechanisms of organization, collective rights with emphasis on sexual and reproductive rights, management of projects, and leadership”. Participants. 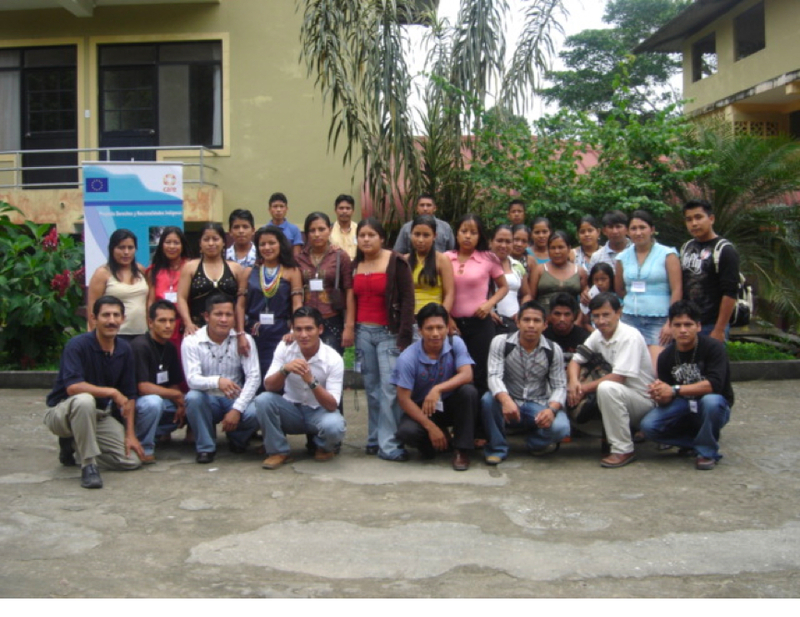 Young male and female leaders of social organizations and of several distinct communities of the province of Sucumbíos, of the Kichwa, Cofán and Shuar nations, and representatives of the Cofán People of Colombia. • To hold a Third Meeting in a Shuar Community. This could be in the Shushufindi Canton, The Shuar Community of San Pedro or Yamarun Sucu; or the Cascales Canton, the Taruka Community; the Organizers to agree this detail. • The expected date: from Friday 25th to Sunday 27th July 2008. • Participants: Ten of each Nation, to include five women and five men. 1. Our rejection of the use of violence to resolve a conflict for which we peoples and nations bear no responsibility whatsoever, in spite of which our communities, our families and we ourselves suffer such immediate consequences as poverty, insecurity, violence, sicknesses and other impacts caused by implementation of the Colombia Plan. 2. We require that the State, through national, regional and local government and society in general, adopt public policies to make a reality of trhe exercise of collective rights, through which we as peoples and nations may be able to live in accordance with our practices and ways of life. 3. We demand of the institutions of security respect for our territories and our human and collective rights, and of the national government and local government (municipalities) that they attend urgently to the basic needs of indigenous communities. Estoy muy contento por la manifestación de los jóvenes respecto a la violación de la soberanía ecuatoriana. No permitamos que nos acaben somos seres que vivimos ya hace mas de 500 años y dentro de ello nos pretendieron cludicarnos nuestra exixtencia es el momento que debemos tomar nuestra carrera par decir ya Vasta de violencia y no debemos dejar de llevarnos por eso camino del mal. Somo Jóvenes que soñamos un destino mejor para nuestra querida Patria Ecuador. Los jovenes de la amazonía ecuatoriana no nos dejaremos por vencidos por aquellos que pretende acallarnos nunca será facil. Saludo a todos mis camaradas de lucha.